When your vehicle has the "go over anything" ability it can tend to be a bit difficult to climb in to the back of or having access to your roof racks. If you hope to use your truck or SUV without throwing your back out, it's time to step up your game with a Bully Hitch Step. Not all hitch steps are created equal, and the Bully Hitch Step is far from ordinary. First, it's constructed from heavy-duty steel to support massive loads without breaking a sweat. Then, Bully gives it a heaping helping of midnight black powder coating with a thick texture coating for good measure. 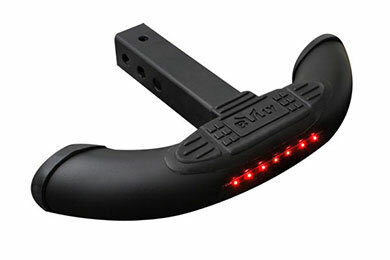 But, what really sets Bully Hitch Steps apart is the optional LED light strip spanning the center of the bar. These bold red bulbs burn bright when you step on the brakes, warning other drivers to keep off your rear. 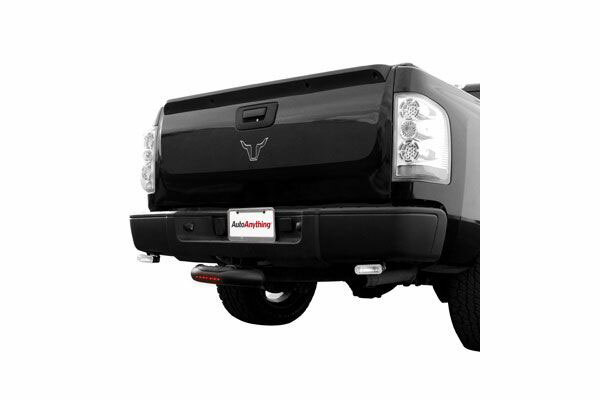 And, these versatile hitch step bars mount securely to both 1.25" and 2" receivers. They also come with a 90-day warranty. One of the few that adjusts between receivers. If you don't have a two inch receiver, no one else has a step to fit. I have a 2019 Toyota Tacoma Pickup.The pin lineup wasn't there for the light connection! Had to cut the power cord and do without the light! 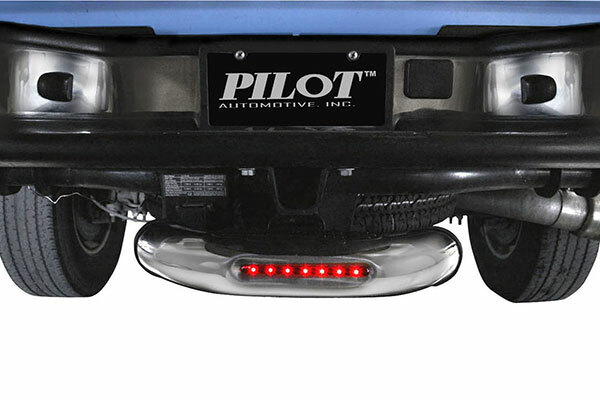 I really like the chrome hitch step with LEDs from Bully. It is just the right amount of additional space to get up into the back of my Titan that has 20 inch wheels. The only draw back is the wiring is not long enough to go behind the rear bumper. Reference # 764-439-338 © 2000-2019 AutoAnything, Inc.